The oldest Dalmatian Gothic church is the church of St Francis (Samostan sv. Franje Asiskog) also known as the Monastery of St Francis of Assisi. The monastery and church were built in 1221 and consecrated in 1282 by Bishop Lovro Periandar. It has a single nave with a raised shrine. 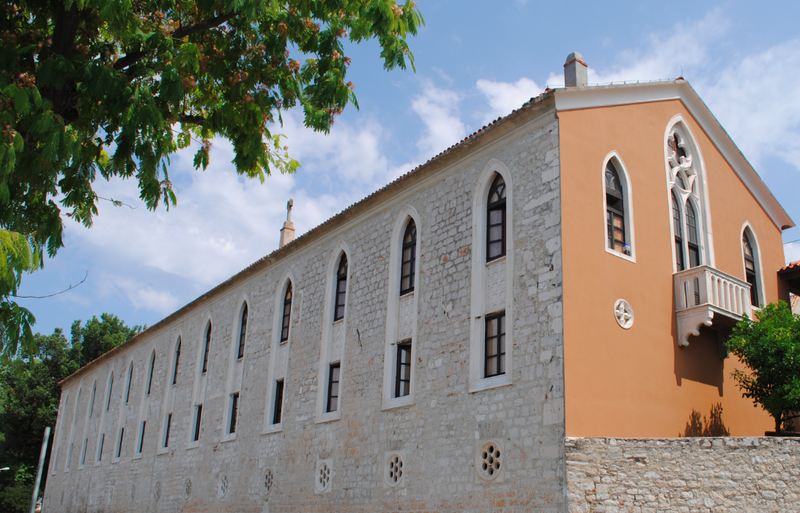 Considered significant in the history of Croatia , the sacristy is the place where the Peace Treaty of Zadar was signed on 18th February 1358 between the Venetian Republic and the Hungarian-Croatian King Louis I Angevin. This act led to the Venetians abandoning their claim on Dalmatia.